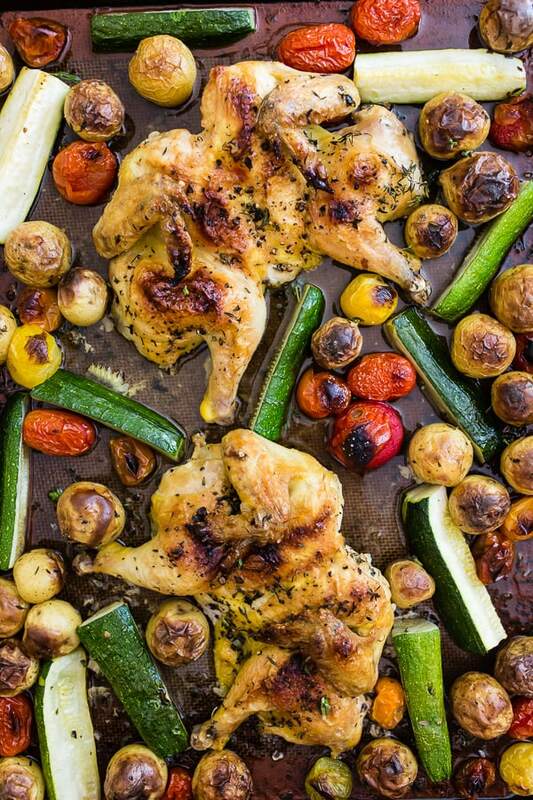 This sheet pan spatchcocked Cornish hens with summer vegetables is the perfect weeknight dinner. 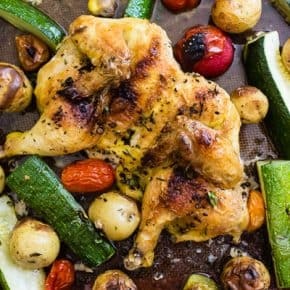 It all bakes up on one sheet pan and is packed with perfectly crisp Cornish hens, zucchini, baby potatoes and cherry tomatoes all tossed in an olive oil, oregano, thyme mixture. You’ll love this sheet pan meal! This post is sponsored by Kamikoto knives. All opinions are 100% my own. Summer meals are the best meals! 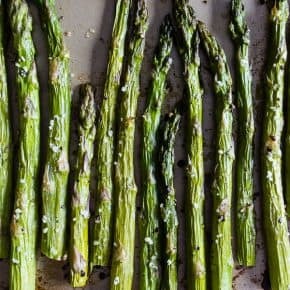 And while I usually love all things grilling I’m a giant fan of sheet pan meal for their super easy prep and delicious outcome. PLUS they give me my meat and veggies all in one delicious tray. How freaking simple is that? And I know spatchcocking might sound odd but I swear it’s super simple! It’s really just a fancy work for taking out the backbone and laying your Cornish hen flat. You can also do this technique with chickens or turkeys. A few months ago Kamikoto knives asked me to partner up to showcase their knives and I jumped at the opportunity. Having a quality knife in your kitchen is your number one best tool. I don’t know how many times I have almost sliced off my finger by using a dull knife. Seriously people. Sharpen those knives! Now, as you can tell from the top two pictures spatchcocking just means you’re cutting out the backbone. The easiest way to do this is by cutting up the backbone with a pair of kitchen shears but today we’re going to do with knife style! The first thing you do is flip your Cornish hen upside down so the breast is face down and you’re looking at the back of the bird. Run your fingers down the back of the bird and find it’s backbone. 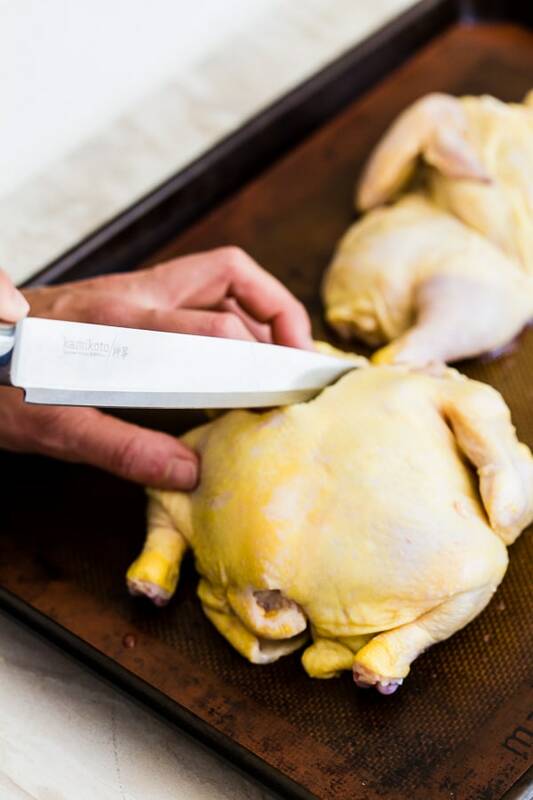 Take your knife and cut down the sides of backbone, pull out the back (like in the above picture) of the Cornish hen and lay it flat. On bigger birds, I usually pop out-out the breast plate BUT because these babies are so tiny they lay out flat nicely without going through that work. Normally when I think of roasted poultry I think of pairing it with things like roasted carrots, mashed potatoes, and gravy. But that is just too winter and baby it’s summer! That’s why I went with cute little baby potatoes, juicy cherry tomatoes and zucchini. 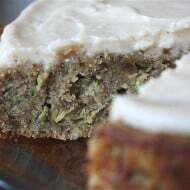 Anytime you throw zucchini in the mix it’s summer to me! You do have to let the Cornish hens and potatoes cook for a bit before adding the zucchini and tomatoes but it’s well worth it! Plus they are all seasoned up with fresh minced oregano and thyme. 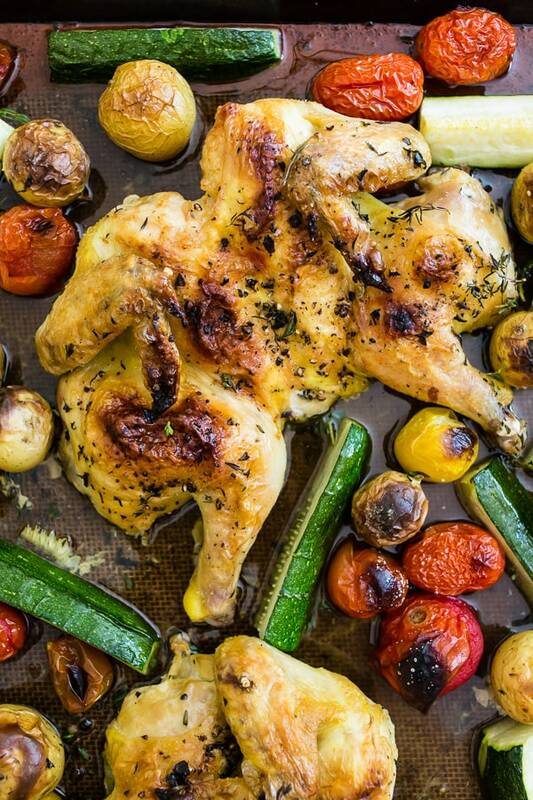 This sheet pan spatchcocked Cornish hens with summer vegetables is the perfect weeknight dinner. 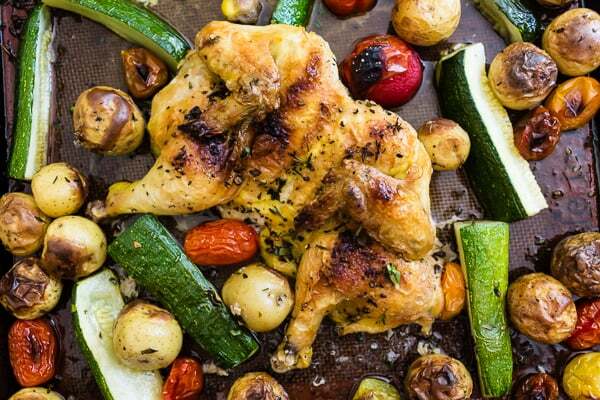 It all bakes up on one sheet pan and is packed with perfectly crisp Cornish hens, zucchini, baby potatoes and cherry tomatoes all tossed in an olive oil, oregano, thyme mixture. You'll love this sheet pan meal! 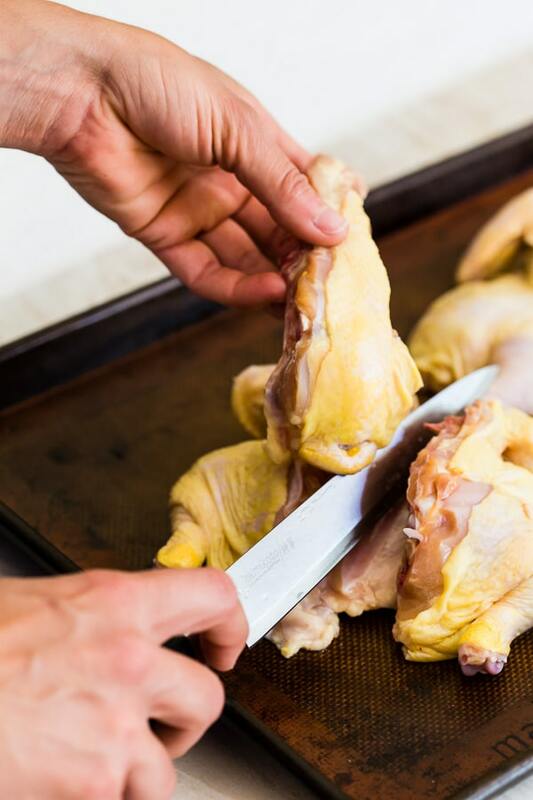 Remove the giblets from the Cornish hens and place them on a cutting board, breast side down. Using sharp kitchen shears cut down each side of the backbone, starting from the neck end down to the tail. Remove the backbone, pull open the hen, flip it over and lay it flat. Optional: Near the bottom of the breast near the legs there should be some loose skin. Cut a small slit on each slice of fat and put your legs through the hole. This helps hold the legs in place but it completely optional. Rub both birds with about 1 tablespoon olive oil, season the front and underside of the bird with kosher salt and pepper. Sprinkle with half of the oregano and thyme onto the bird and rub to coat the top and bottom. 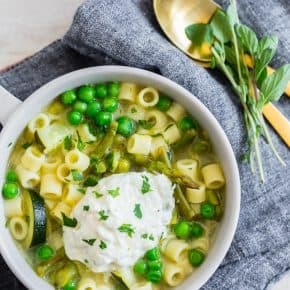 Use the rest of the olive oil and herbs to toss with the vegetables. 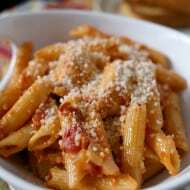 Season with the desired amount of kosher salt and pepper. 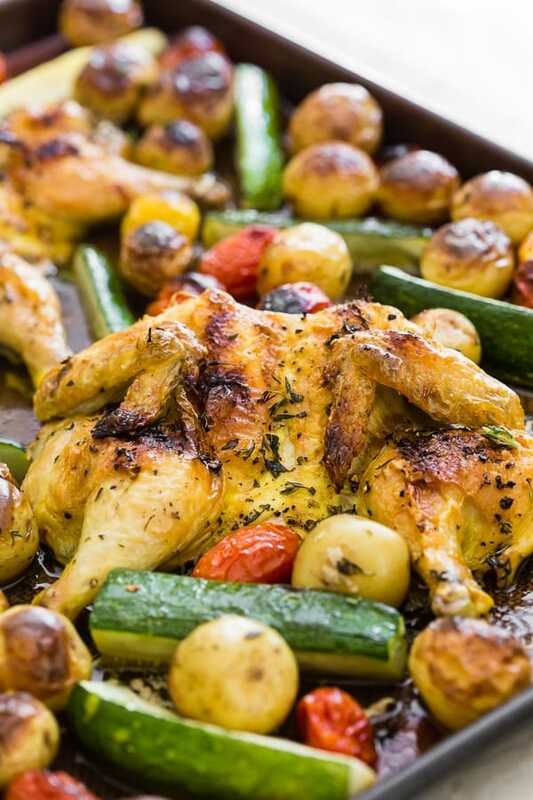 To a large rimmed sheet pan add the flattened Cornish hens and potatoes. Cook for about 45 minutes, tossing the potatoes midway to keep them crispy and evenly cooked. 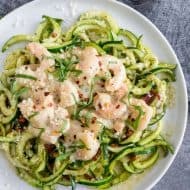 Remove from the oven and add on the tomatoes and zucchini. Cook for about another 15 minutes or until the chicken is fully cooked, internal temperature 160 degrees in the thigh. 2 great techniques in one! Sheet pan cooking makes clean-up so much easier and cooking a chicken this way makes it faster! I’m actually in the market for a few good new knives, these look nice, checking them out! 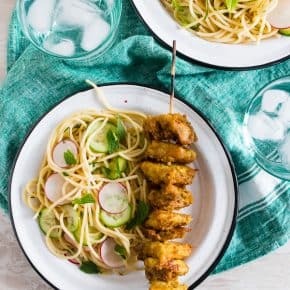 Helloooooooo Summer on a sheet pan! 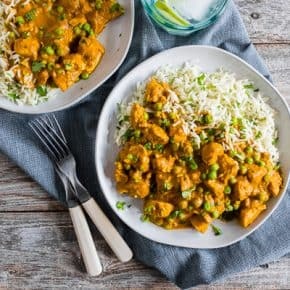 Love this so and can’t wait to try it for dinner! The colors on that sheet pan are out of this WORLD. Always wanted to try spatchcocking something, and this is a great guide! Yes, yes and Yes! I am having an obsession with mini potatoes right now. NEED this! This meal is so elegant! 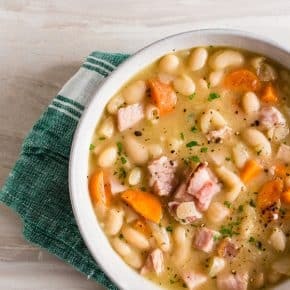 I can already imagine how wonderful this smells while it is cooking! CAN’T WAIT!!! Big fan of sheet pan meals! I’ve never cooked Cornish hens but I’m excited to give it a try! 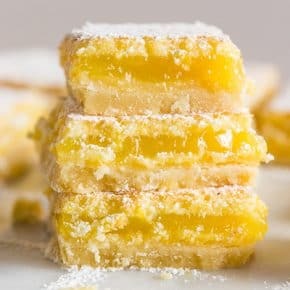 This is making my mouth water, YUM! Growing up, Cornish game hens were often a family tradition – these look fabulous! Such a great idea to do this with cornish game hens! A gorgeous meal! What a gorgeous meal! I rarely cook with Cornish game hens, but am thinking that I need to step up my game.